Lenovo has released details of their new all in one desktop PC, the Lenovo IdeaCentre A600, and from the photos it looks stunning. 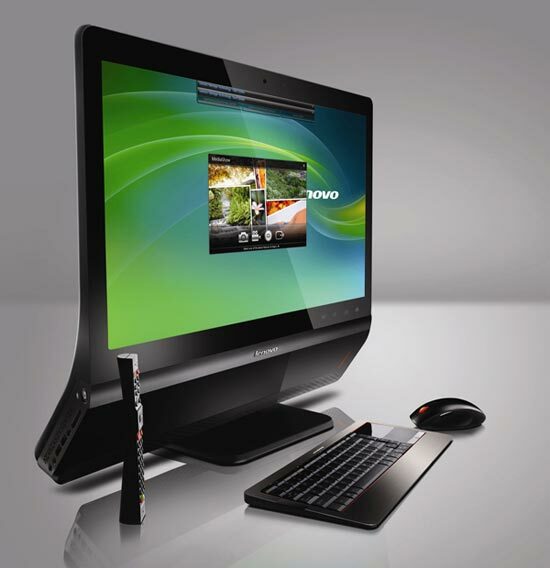 The Lenovo IdeaCentre A600 features a 21.5 inch widescreen HD display, with a resolution of 1920 x 1080, processing comes in the form of Intel Core 2 Duo CPUs, with a choice of various models. Memory comes in the form of 4GB of DDR3 RAM, and up to 1TB of HDD storage, there is also the option to add ATI Radeon graphics cards, there are no details on which models are available with the Lenovo IdeaCentre A600. There is also an optional remote which can be used for Media Centre or as game controller, or as an air mouse and a VoIP handset for Skype and other VoIP calls.